Most OCCC students have had an adjunct or, part-time, professor. OCCC has 369 adjunct professors as of March 2014, in comparison to 143 full-time professors. Ten years ago, OCCC employed 117 full-time professors and 326 part-time. Felix Aquino, Academic Affairs vice president, said OCCC hires more adjuncts because the funding just isn’t there to employ more full-time professors. 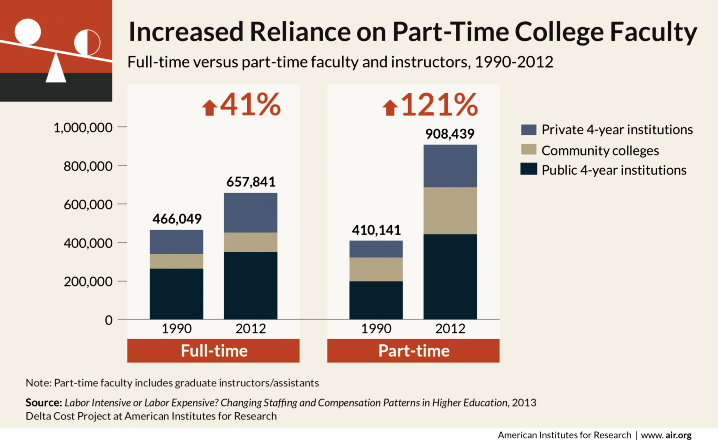 “An adjunct doesn’t cost as much as a full-timer,” he said. Larry Robertson, compensation and Human Resources systems director, said OCCC pays its adjuncts $680 for each credit hour they teach. Full-time professors receive an average salary of $50,100, he said. Aquino said hiring more adjuncts also helps keep tuition down. 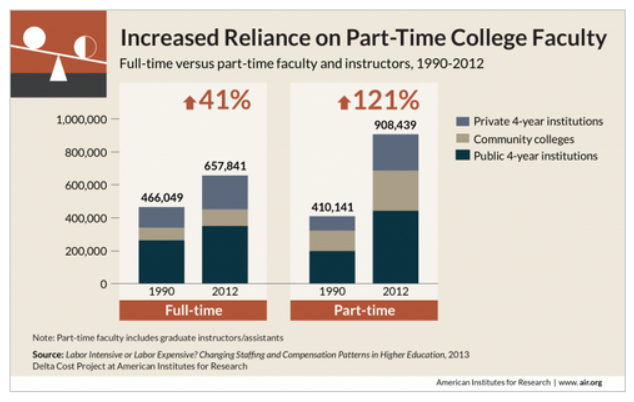 “Adjuncts … are hired strictly to teach. The standard that we hold them to in terms of teaching is the same as anybody else … ,” he said. Some adjunct professors teach part time purely out of choice or even for fun. Biology professor Jan Clanton has been an adjunct at OCCC for 13 years. She said she has no desire to teach full-time. “[It’s] a lot of administrative hassle,” Clanton said. After working various jobs in research technology and law, she decided teaching was the job for her. She said she taught part-time at several colleges for many years but eventually decided OCCC was where she wanted to be. “This has been nothing but good for me,” she said. Some adjunct professors work multiple jobs to help supplement their income. Jennifer Beard, English professor, teaches full-time at Westmoore High School and teaches two classes — English Comp I and II — at OCCC. “My first semester in college teaching, I was teaching at three schools and then I started to kind of worry about that … ,” she said. Beard, like many part-time professors across the country, said she began teaching as an adjunct because she couldn’t find a full-time position after receiving her degree. “I would honestly say that’s why I started doing it,” she said. “When I finished my master’s degree, I hadn’t found a full-time position yet. Although part-time teaching helps pay the bills, Beard said, she still wishes she could have a full-time position at a college. “I enjoy doing it to supplement my income and I just enjoy college teaching. I think all of us who are adjuncts … would kill to have a full-time position…,” she said. Beard said she does not recommend what she is doing to anyone. “ … Just doing adjunct teaching only and driving around to a whole bunch of different schools … [is] a difficult thing to do and to me, it’s a little risky,” she said. Adjunct professors do not have a guarantee if OCCC decides to cut jobs, enrollment drops, or students do not sign up for the time they are teaching a class, Beard said. She said she has never had that problem but it is still something she has to be mindful of. “I’ve never had a problem getting classes, so for me it’s been pretty consistent. However, there is the threat of, if enrollment goes down, or if not enough people enroll in your class, you know, you won’t have a job,” she said. Adjuncts also must consider benefits, Beard said, as they don’t receive all of the healthcare options full-time professors are offered. Part-time benefits include an employee assistance program for the professor and their immediate family, a retirement plan option and limited health benefits. Beard said she feels the compensation is fair. Although adjunct professors are required to be on campus one hour for each three hour class they teach, that doesn’t mean they will be available to students when needed. Beard said adjunct professors have limited office hours so students have to make a greater effort to reach out for help. “I think the quality of instruction is still really good but definitely there’s more limited office hours,” she said. Clanton said she works around that by giving her students various ways to contact her. She said she gives her students her cell phone number and even encourages them to call at 2 a.m. if they are desperate. She encourages all students to do whatever it takes to meet with their professors if they are struggling. “Don’t hesitate to try to contact your professor,” Clanton said. “They have to give you some kind of method of contact. “I think most of us … the good ones give [students] a way to contact them and respect them for doing it, and they’re disappointed when they don’t. It’s true that OCCC students are more likely to have a part-time professor than full-time, but does it make a difference? José Sagredo, physics major, said he has had a few part-time professors and has had good experiences. 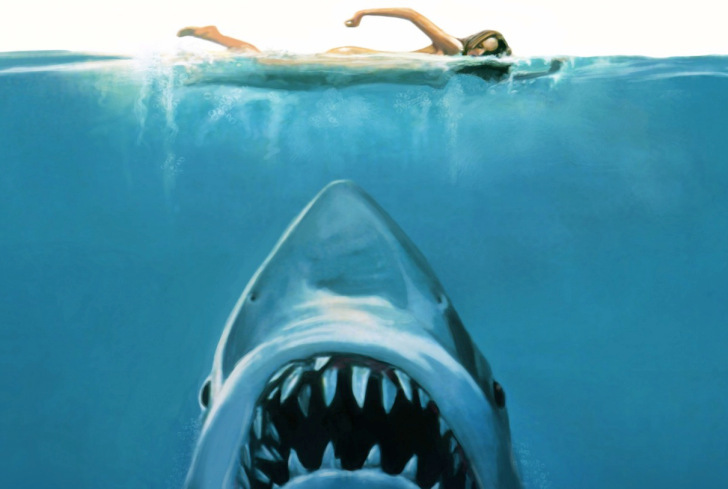 “I honestly couldn’t tell the difference,” Sagredo said. Blair Reynolds, secondary education major, agreed, saying he wasn’t even certain which were part-time and which were full-time. Other students said it’s more about the individual professor, not the hours worked. “I’ve had some full-time professors who were better (than part-time) … [and] some who were worse, said Sophomore Ryan Strawhun. Riley Saunders, in his second semester at OCCC, said he has already seen the good and bad. “One (part-time professor) is actually like the worst teacher I ever had in my life,” Saunders said. A few students feel part-time professors’ performance is affected by the jobs they hold outside of OCCC. Ryan Saunders, who just completed his third semester, said he thinks having outside jobs helps adjuncts do their jobs better. He said he has a part-time math professor who also works at Chesapeake “crunching numbers”. Nathan Ice, Film and Video Production major, agreed that it’s a mixed bag. “Some part-time teachers are extremely dedicated and some full-time teachers aren’t [and] vice versa … . Aviation Mechanics major Jackson Blundell said there are a number of factors to consider. “Every professor is different no matter if they’re part-time or full-time, in my honest opinion,” Blundell said. OCCC relies heavily on its adjuncts, Aquino said. He said they allow the college to serve more students than would otherwise be possible. “We value our adjuncts very much,” he said. Aquino said many adjunct professors also work for the college in areas other than teaching. Aquino said one downside to hiring adjuncts from the college’s standpoint is they are not required to be involved in the governance of the institution. “… They don’t do anything about curriculum … . They don’t have to serve on any committees,” he said. In the end, Clanton and Beard agree on one thing —OCCC is a great place to work and they enjoy getting to teach. “I just really enjoy teaching there and I’m glad I do it,” Beard said. For more information, contact Aquino at 405-682-7546, or by email at faquino@occc.edu.